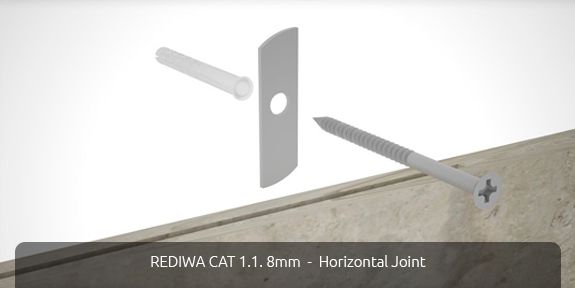 The Rediwa C.A.T 1.1 2mm joint and C.A.T 1.1 8mm joint systems are mechanical fastening systems designed by Wandegar and used with cement glue, it provides extra safety for bonded facades for stoneware thicker than 8mm. 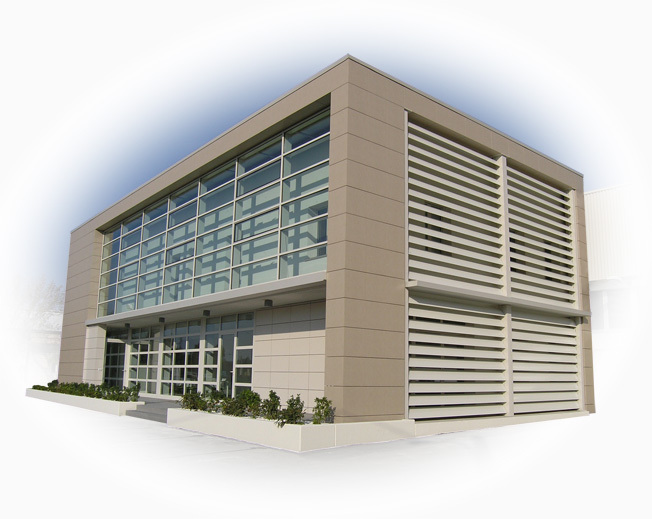 It would be advisable for bonded facades, to add a mechanical fastening to prevent the cement glue from losing its adhesive chemical properties over time and after the impact of atmospheric agents. This system is based on two aspects: the slots on the ceramic tile and the set consisting of the steel clips and its screw. Ceramic preparation consists, generally, on four slots, two in the upper corners and another two on the lower corners. In these slots, made prior to bond on the wall, the clips are inserted and screwed. The clips are made of high quality stainless steel, and they are inserted into the grooves. At the same time, they are attached to the wall with a nylon plug and its screw. 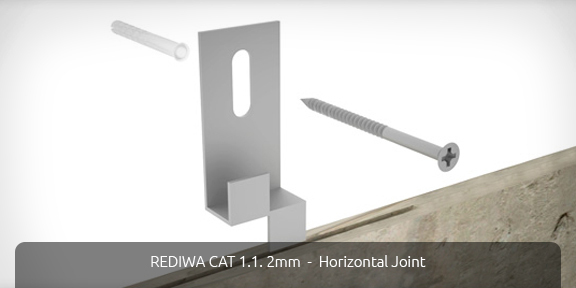 There are two kinds of clips: one kind to achieve horizontal joints from 8mm and another kind of to achieve horizontal joints between 2 and 8mm width.